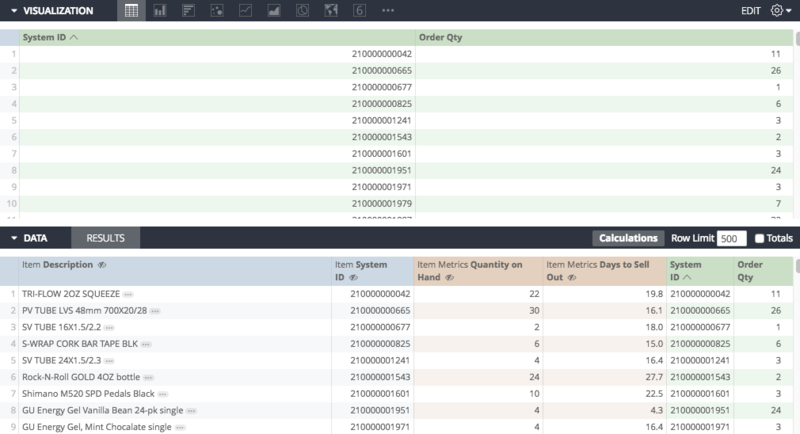 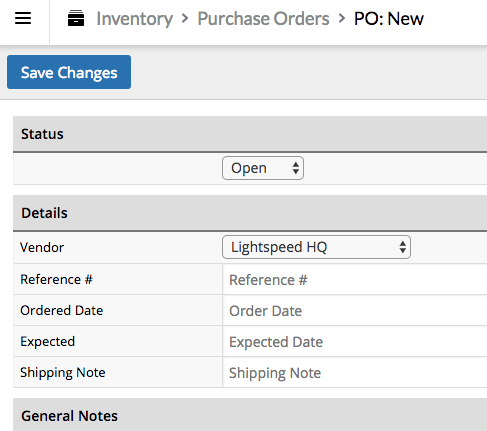 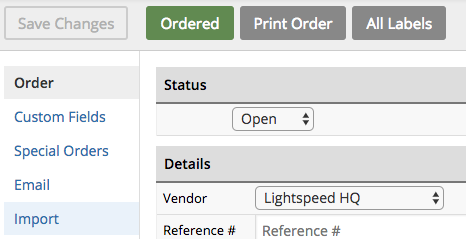 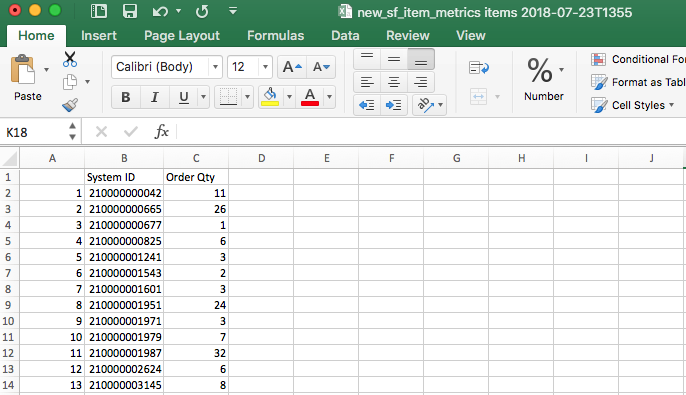 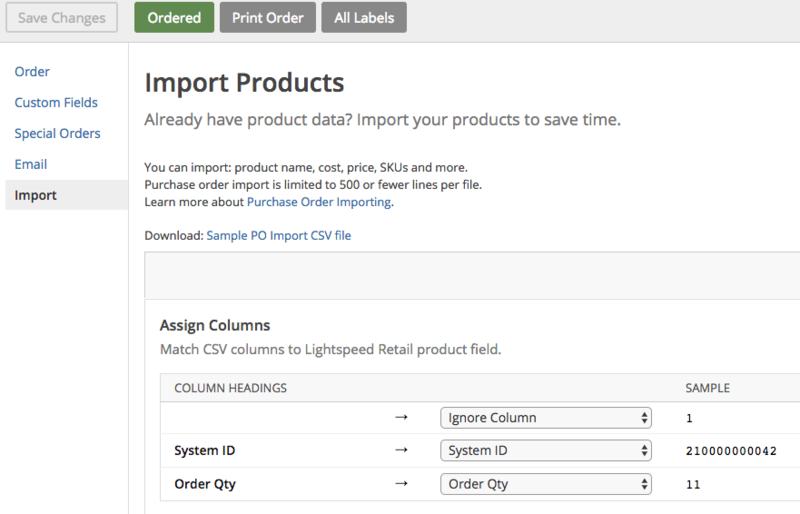 Now that we can measure what Products need to be reordered, and how many need to be reordered, we can have Analytics prepare the data for us to Import as a PO into Lightspeed. 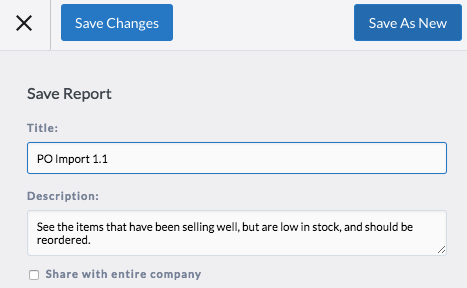 So we have the data that we need to import a PO, but we need to make a few changes. 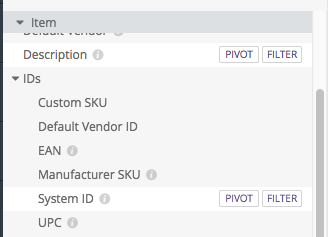 We get a column on the right hand side that stops returning System IDs once the reorder amount is less than one. 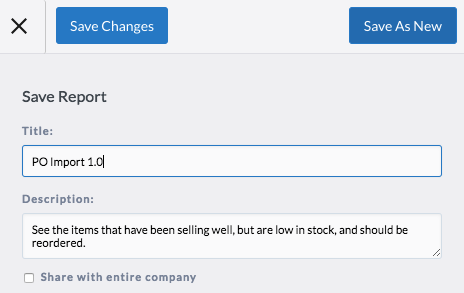 From here, all our report needs is cosmetic. 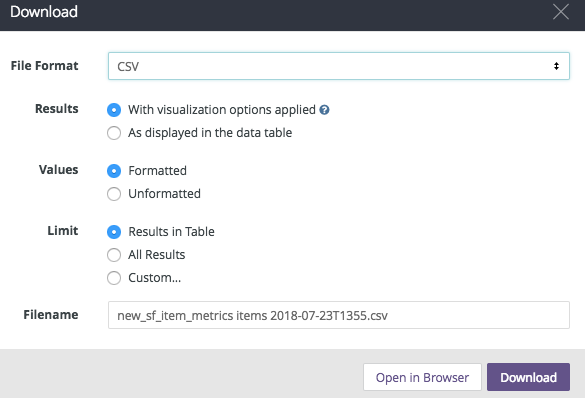 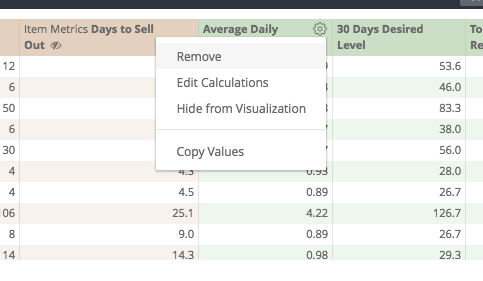 and we'll select the option of CSV "with visualization options applied"
...from here, we can select the file that we downloaded from Analytics, and then pull its products and order quantities onto the order in Retail!